Traditional round pot in green colour. 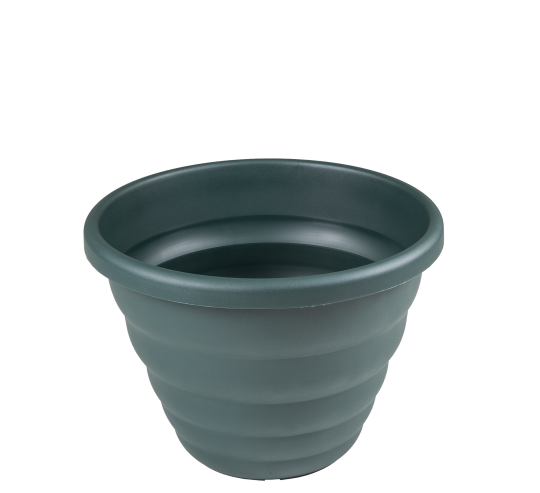 This planter is suitable for both indoor and outdoor use being weather resistant and lightweight. Approx. 2.25 litre capacity.